Are you sure you are receiving the proper medical benefits? Is the insurance company really looking out for your well being? Do you have any idea what happens now? What are the next steps? How does the system work? By handling your case without the help of a workers’ compensation lawyer you may be risking everything. If you are injured while doing your job, do not be afraid to ask for help. In a matter of seconds, you can fill out our FREE Case Evaluation form. It costs you nothing and can save you everything. Workers’ compensation is a social safety net that states began setting up decades ago as a way to protect both employers and employees when someone gets hurt on the job. In most cases, Colorado employees can file a workers’ compensation claim after an accident job leaves them injured. But there is a long and winding road between that initial claim and earning full benefits. 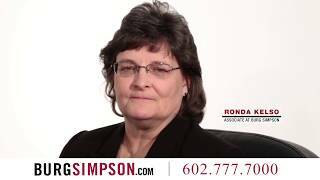 Burg Simpson Colorado workers’ compensation attorney can help navigate that road. Thousands of people get injured at work every year, most as a result of overexertion or falling. If you are injured on the job, it is important you get in touch with a Colorado workers’ compensation attorney and not to handle your claim on your own. So we can answer your questions, call us directly at 720-400-8558 to learn how we can provide the support and guidance you deserve. There are several factors that must be considered in any workers’ compensation case. The types of damages that can be recovered include economic, non-economic, and sometimes even punitive damages. The only way to provide a fair and honest assessment of your case is to discuss it with you in detail. It is also important to know that if we take your case, you do not have to pay us anything up front. We only get paid if you do. Get in touch with a workplace injury lawyer in Denver at 720-400-8558. 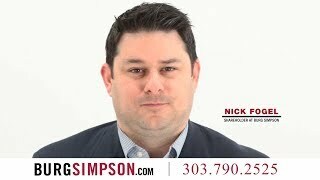 At Burg Simpson, we help injured Union Members throughout the State of Colorado. You don’t have to report the injury. Yes, you do. In writing, within four days of the injury. You don’t have to tell your doctor (or employer) everything. You should report every injury and subsequent symptom that resulted from the accident. You don’t have to go to your employer’s authorized medical provider. Only if it is an emergency. Otherwise, you must go to your employer’s designated doctor. If advised, you have to submit to treatment and/or surgery. Not at all. You have the right to ask questions, get second opinions and even refuse surgery without risking your claim. You have to pay whatever the authorized health care provider tells you. Not true. It is inappropriate for them to charge you for medical treatment. This is just the beginning. Workers’ compensation law is complicated. It is absolutely critical that you speak with an experienced Colorado workers’ compensation attorney who can help determine your best courses of action while protecting your rights. No matter what anyone says, your employer’s insurance carrier is responsible to “pay all authorized, reasonable, necessary, and related medical expenses that result from your injury.” This can include any exams, surgical procedures, therapies, aftercare, and hospitalization, among other things. If your injury leaves you in need immediate medical attention, do not wait. Go to the nearest hospital, urgent care center or emergency room. If it is an emergency situation, it does not matter if it is an authorized provider. If it is not an emergency, you will be held financially responsible. If you are not happy with your original medical care, you are allowed to negotiate for a different provider and a second opinion. But you must discuss this with your attorney within 90 days. Visit your Colorado workers’ compensation lawyers at Burg Simpson for help by filling out a Free Consultation form to discuss your case for free! If you are unable to work, you may be able to claim Temporary Disability, which includes Temporary Total Disability (TTD) and Temporary Partial Disability. Temporary Disability benefits are the lost wages you receive until you have reached Maximum Medical Improvement (MMI) from your injury or illness sustained at work. TTD payments begin after you miss three calendar days of work or three shifts. Your primary care physician must also provide, in writing, documentation of your inability to work, or restrictions on your ability to work. MMI is achieved when your doctor determines the injury is stable and further care is not needed. In Colorado, Temporary Total Disability benefits are calculated at two-thirds of your gross average weekly wage, which is averaged by including past wages over a set period of time. This wage can include overtime, bonuses, and the value of employer-paid health insurance benefits. Finally, sick time and vacation days can be rolled into your Temporary Disability payments but they can not be used as a substitution. All too often, workplace accidents are the result of someone else’s negligence. If that person is not someone connected with your employer, a third-party lawsuit might be an available option for you to secure additional compensation for your injuries so that you can cover medical and other expenses. These lawsuits can be filed in addition to your workers’ compensation claim. NEED TO FILE A THIRD PARTY CLAIM? If you have been hurt in a worksite accident because of the actions of an irresponsible third party, call a workers’ compensation lawyer today. Colorado’s workers’ compensation law is extremely complicated, so do not try to handle your claim alone. You run the risk of making a mistake and putting your compensation at risk. 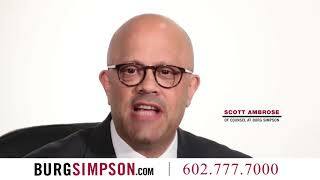 Reach out to Burg Simpson today by calling 720-400-8558 or fill out our FREE CASE EVALUATION form right now. Yes. In Colorado, if you are hurt on the job and your injury is the result of your employer’s or a co-worker’s actions, you are eligible for workers’ compensation benefits. However, in exchange for that benefit, Colorado law prohibits you from suing either of them for their negligence. You can, however, sue the responsible third party who is not affiliated with your place of employment, while also collecting workers’ compensation benefits. For example, if you are a delivery truck driver and you get hurt when another driver runs a red light and rams into your truck, you can collect workers’ compensation benefits from your employer while you pursue the negligent driver with a third-party claim for damages not covered by workers’ compensation. Keep in mind that your employer’s workers’ compensation insurance carrier will be entitled to a portion of the money collected from the negligent driver based on the benefits they have already paid on your behalf. This process is called subrogation. This is why you need a work injury lawyer to help you through the process. Independent contractors typically have to carry their own workers’ compensation insurance. However, signing an independent contractor agreement does not necessarily prove that you are an independent contractor or that you have waived your right to prove that you are an employee. Free from control and direction in the performance of services. Customarily engaged in an independent trade, occupation, profession, or business related to the provided service. Does someone tell you when or how to do your job? Does someone else provide the tools or equipment to do your job? Finally, in some cases, you can sue a property owner or a lessee if you get hurt on their property while on the job. You can also file suit against an equipment manufacturer if you have been hurt by their defective equipment. There are dozens of other rules, restrictions, and rights associated with workers’ compensation in Colorado. To help make sense of it, we have compiled an exhaustive FAQ HERE here to help answer any questions. But it is not the same as speaking with one of our experienced Colorado workers’ compensation lawyers. If you get hurt at work, the most important thing to do right away is to get medical attention. The clock on your claim starts ticking as soon as you are injured, so report it immediately. Do not jeopardize your health, your job, or your finances. Fill out a FREE Case Evaluation form today or call us before it is too late to discuss your situation with a workers’ compensation attorney!